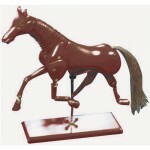 Horse - (40cm) 16" Dark brown colour, fully adjustable positions. Beautifully proportioned. .. Horse - (50cm) 20" Dark brown colour, fully adjustable positions. Beautifully proportioned. ..
manikin, Fully adjustable, 2D shape ..
Paper Mache Body on a Stand (body 20cm) - 40cm ..
Manikin 60cm -Full paper mach'e torso. Excellent for Textile Design, Collage or displaying student works .. 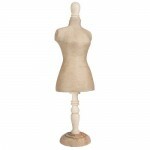 Female - (30cm) 12" - Wooden Model, Variegated Hard wood manikins with adjustable joints for realistic human positions. Female body forms. Each manikin has its own stand. Ideal reference tool in figure drawing. .. Female - (40cm) 16" - Wooden Model Hard wood manikins with adjustable joints for realistic human positions. female body forms. Each manikin has its own stand. Ideal reference tool in figure drawing. .. 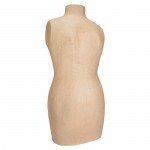 Female (Deluxe) - (30cm) 12" - Wooden Model Hard wood manikins with adjustable joints for realistic human positions. Female body forms. Each manikin has its own stand. Ideal reference tool in figure drawing. ..
Hand (left) 8" Hard wood manikins with adjustable joints for realistic human positions. Ideal reference tool in figure drawing. 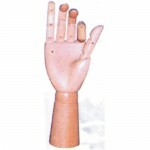 ..
Hand (right) 8" Hard wood manikins with adjustable joints for realistic human positions. Ideal reference tool in figure drawing. .. 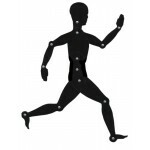 Male - (105cm) 42" - Wooden Model Hard wood manikins with adjustable joints for realistic human positions. Male body forms. Each manikin has its own stand. Ideal reference tool in figure drawing. .. Male - (30cm) 12" - Wooden Model,Variegated Hard wood manikins with adjustable joints for realistic human positions. Male body forms. Each manikin has its own stand. Ideal reference tool in figure drawing. .. 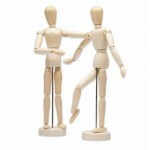 Male - (40cm) 16" - Wooden Model Hard wood manikins with adjustable joints for realistic human positions. Male body forms. Each manikin has its own stand. Ideal reference tool in figure drawing. .. 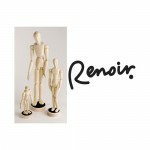 Male (Deluxe) - (30cm) 12" - Wooden Model - Hard wood manikins with adjustable joints for realistic human positions. Male body forms. Each manikin has its own stand. Ideal reference tool in figure drawing. ..